You may have already seen this recipe floating around the internet, and perhaps you have it saved already to try some day. 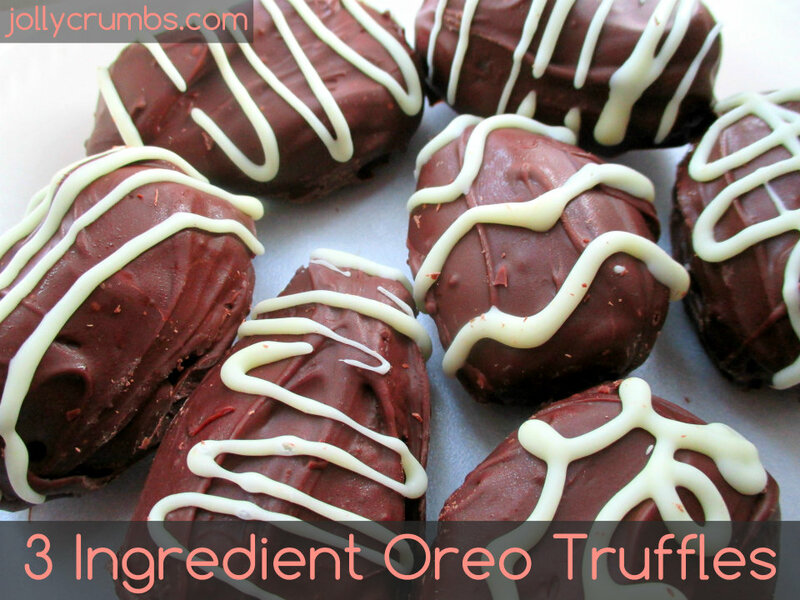 Well, if you haven’t already made Oreo truffles, you need to. Now. My recipe only requires three ingredients, with an optional fourth. These are so easy to make, you may not believe it. Sometimes the idea of “truffles” sounds intimidating to make because they are often so decadent and rich that surely they must take effort to create. Well, these Oreo truffles are decadent and only require minutes to prepare. The hardest part about making these truffles is waiting for them to firm up after dipping them in chocolate so you can enjoy them! The first step is to add the Oreos to a food processor or blender, and pulse until evenly crumbled. Add the cream cheese and pulse until the mixture is smooth and well-blended, stopping to scrape down the sides of the food processor or blender if needed. If you don’t have a food processor or blender, you can place the Oreos in a zip-lock bag and crush them with a rolling pin or a heavy object. Once you have them crushed finely, place them into a large bowl. 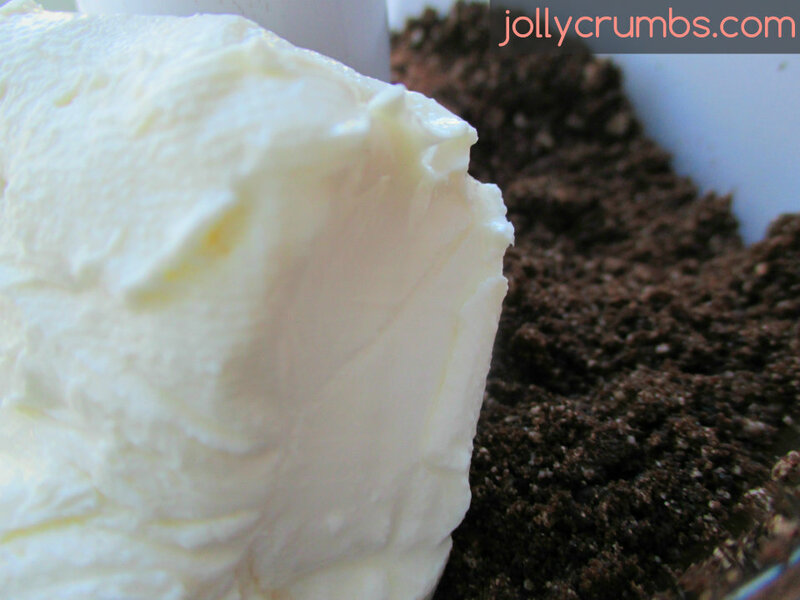 Mix the cream cheese in with a hand mixer or by hand until the mixture is smooth and well combined. Use a ¼ cup measuring cup to scoop the mixture into balls and roll them into shape. You can also make these much smaller if you prefer. They are a rich truffle, so smaller isn’t necessarily a bad thing. Place the truffles on parchment-lined baking sheets, and chill in the refrigerator or freezer until hardened. Once the truffles have chilled, carefully heat the dark or semisweet chocolate in a microwave or double-boiler until melted and smooth. Dip the truffles in the melted chocolate, and roll around until they are evenly coated. Transfer the truffle to another parchement-lined baking sheet and let cool. Repeat with remaining truffles. Then transfer to the refrigerator once more to cool until the chocolate has hardened. If using optional white chocolate to decorate: Melt the white chocolate or almond bark in a separate bowl, then either drizzle on the truffles with a fork or use a piping bag to pipe the chocolate on in your desired design. 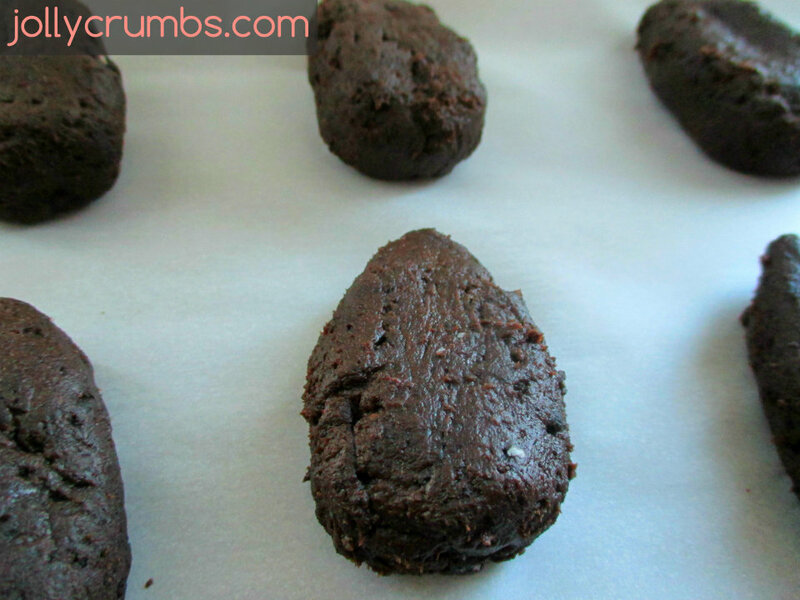 These truffles are a great little sweet treat. Not only do you need only three ingredients to make these, but they come together without much effort. They are rich in chocolate flavor, but they won’t make your teeth hurt. I really like the cream cheese in these truffles. It breaks up some of the rich chocolate, and it adds just a slight tang which goes perfectly with the Oreos. Of course, you can always use other flavors of Oreos as well. I went with the regular Reduced Fat version, but you could always try the mint, berry, and golden varieties. These work well for all occasions, not just Easter. Any time you would like a decadent truffle, these would definitely hit the spot. Add the Oreos to a food processor or blender, and pulse until evenly crumbled. Add the cream cheese and pulse until the mixture is smooth and well-blended, stopping to scrape down the sides of the food processor or blender if needed. Use a ¼ cup measuring cup to scoop the mixture into balls and roll them into shape. Place the truffles on parchment-lined baking sheets, and chill in the refrigerator or freezer until hardened. If you don’t have a food processor or blender, you can crush the Oreos by hand. Place them in portions in a sealed plastic bag. Use a rolling pin or something heavy to crush the Oreos as small as you can. Then transfer the crushed cookies to a large bowl and beat in the cream cheese with a hand mixer or mix in by hand with a large spoon. You can make these larger or smaller depending on your size preference. I shaped my truffles into eggs for Easter, but you can leave them in round balls or shape however you like.